Tragic, heart-breaking, unimaginable… A hospital nurse fails to properly monitor the respiration of a post-op patient that has sleep apnea and is still unconscious from the anesthesia used during surgery – result, brain injury from inadequate oxygen to the brain…. A doctor fails to order anticoagulant medication for a bed-ridden patient that has deep vein thrombosis – result, death from pulmonary embolism…. An anesthesiologist fails to perform a proper pre-anesthesia assessment on a patient that is at high risk for respiratory failure during surgery and does not secure the airway with an endotracheal tube for the procedure – result, patient suffers respiratory failure during procedure, anesthesiologist cannot intubate patient, hospital’s code team does not timely respond, and patient sustains brain injury from inadequate oxygen… I fought for these victims, stood by their families, and held the doctors/nurses accountable for their negligent acts. 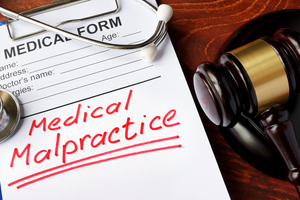 Over the past 20 years, I have successfully litigated numerous medical malpractice cases. I actually defended hospitals and doctors in medical malpractice cases for the first 10 years of my practice. I then switched sides to represent patients harmed by medical malpractice. I utilize the knowledge and experience gained from representing hospitals/doctors to get the best results for my clients. 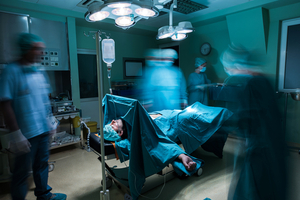 In a typical medical malpractice case, we need to prove that the health care provider was negligent, and that the negligent act was a proximate cause of the patient’s injury. This needs to be established with medical expert testimony. I utilize highly credentialed experts to meet the burden of proof. These experts are credible, and the cases we prosecute have strong merit. Unfortunately, Texas Tort Reform Law (passed in 2003) placed caps on certain damages that can be claimed in medical malpractice cases. For example, there are caps that apply to non-economic damages, such as physical pain and mental anguish, that range from $250,000.00 to $750,000.00. However, no caps may apply to certain economic damages, like past and future medical care expenses and loss of earning capacity. In some cases, we can claim millions of dollars in damages for medical care expenses and loss of earning capacity. 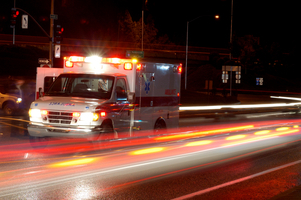 A medical malpractice attorney can advise you on the specific caps that apply to your case. Texas Tort Reform Law has also made medical malpractice cases more difficult to pursue – the failure to follow mandatory requirements and deadlines can result in the dismissal of your case and other penalties. This is an area of the law where experience really does matter. I have the experience and resources necessary to fight for victims of medical malpractice and hold hospitals/doctors accountable for their negligent acts. You can rely on me to get the justice that you deserve in this difficult area of the law.